Vintage Vol de Nuit by Guerlain is a marvel. Named after the Antoine de Saint-Exupéry novel about night pilots in the early days of aviation, Vol de Nuit (“Night Flight”), the scent, translates the mystery, danger and poetry of night-flying into perfume notes. Vol de Nuit’s balance of disparate notes is part of its mystery — it starts off green, citrusy, and dry; moves toward a subtle floral heart; and evolves into an orris/vanilla and amber drydown with a mossy finish. The perfume’s surprise, and what pulls everything together, is its heart of tentative sweetness, from a facet of the narcissus and a subdued jasmine combined with amber and vanilla. It’s as if the dark night sky (the coldness of galbanum and citrus?) suddenly revealed a twinkling star, and the loneliness and danger of flying turns into an existential adventure, exhilarating instead of treacherous. The mossiness (and what Octavian at 1000fragrances says are “two resins” that comprise its unusual key accord) help to maintain the perfume's austerity and gravity, but it’s that moment of warmth that creates Vol de Nuit’s emotional center. I have the vintage EDT Vol de Nuit, but I would love to get my hands on a bit of vintage extrait. There’s a gorgeous 30s bottle on eBay now with the amazing animal-print box going for $375. (Yikes.) I think the Vol de Nuit bottle is one of the most beautiful vintage bottles of all time. (I love square things, too, so there’s that!) It’s supposed to resemble an airplane propeller, with the name “Vol de Nuit” as the propeller’s tip, and the textured glass radiating outward as propeller blades. Originally marketed to “the woman who likes to take risks,” vintage Vol de Nuit is a perfect winter scent. Its coldness mimics the season we’re in, but its soft heart will keep you warm. 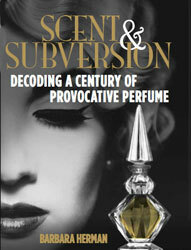 A great review to a perfume that amazed me when I first took a sniff. I think I was 17 , I had never found anything like it and my imagination soared ! I later found L'Heure Bleue was as fascinating. My nose can't compete with Octavian but I know I love them both . They are works of modern art as surely as Picasso .I just don't want vintage bottles to ever get the prices a Picasso do . I have a bottle of vintage edt as well and was very surprised when I first smelled Vol de Nuit. I ordered it from Perfume House in Portland. They seem to have a lot of older Guerlain in stock, just as at one time they had many of the older Patou fragrances. At the time I ordered, they also had VDN the parfum extrait. I guess what surprised me was how delicate Vol de Nuit is compared to my expectations. On me, it becomes a whisper--a soft, impressionistic thing, like something viewed from a distance, maybe from a plane, flying over at night. That would make sense. What also surprised me is the conversation going on between some of these older Guerlains, which have more in common in various ways than I imagined. They inhabit a specific imaginative universe, it seems to me, and relate as different characters in the same story, with distinct personalities but maybe the same overall thematic concerns. Interesting point about certain vintages being on the level of Picasso artworks without being in that price range. I guess when you put it like that...$375 doesn't sound so much! As for the perfume, yes, it captures the heart and the imagination, which is rare in perfume. I can't believe I had this lying around for so long without trying it. I need to dig into my stash of unreviewed perfumes more! Thanks for stopping by! Sounds like you've tried a lot of vintage. What's your top 5? Hi Brian, I love the idea of the older Guerlains being characters in a narrative! They have the genetic "Guerlainade" in common in their perfume DNA, right? I will have to pull out Mitsouko and do a review finally. I don't know why that one resisted my words for some reason, maybe because others had spilled so much ink lauding it. I also like your idea that VdN is whispering or you're apprehending it from far away. I can understand that. It has such a strong personality, with really interesting, even radical notes that keep it from fitting into one perfume family — and yet it doesn't shout and remains elusive somehow. I can't say I've come across that many but last year I got lucky when an elderly lady decided she wouldn't live long enough to wear her fragrances. I owned two of them from the 1970s if that is vintage ,it's pre-reformulation at least. My new years resolution is to buy vintage only . Wonderful review of this classic, thanks! Thanks, Mary! And yes, Cheryl, lustful sigh is right! But you can get a decant of this. That's what I have. Angie, nice list! I've reviewed all of them but Quadrille. It's coming up so stay tuned. I got a tiny little one in those adorable "quilted" round boxes. I've been nursing a tiny bit of Vol de Nuit EDT for literally years, and while I find the first 45 seconds to be absolutely swoonworthy, it quickly fades into a barely detectable ghost of a scent, no matter how much I apply. :-( I assume the vintage (or modern) parfum is stronger. I have a vial of the vintage EDT, so I can't speak about the vintage perfume, but its sillage/longevity is in fact "fly by night." (Sorry, I had to.) At least it's swoonworthy while it's around! One of the best..Christmas Edition 2011 in a poudre is very interesting! I love the inspiration based on Antoine de Saint Exuperry! i have acquired a 15 ml pure perfume, new in the brown & white box plus outer box but not sure what to sell it for as i was most surprised at the $375 price tag mentioned, should i ebay it ? ?